LOWKON - SIGMARAIL® shows covers at its best. SIGMARAIL® fits excellently above your hifi-set. 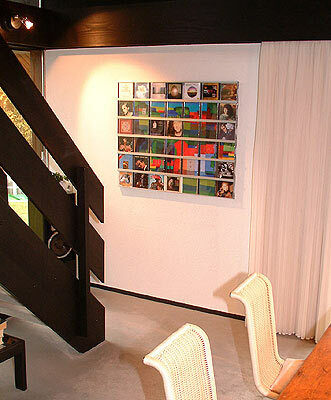 Free space of one metre is already sufficient, and your favourite CDs have found a new place. With the CD stand SIGMARAIL® , they are permanently ready to hand. You won’t get it more practically. In attic storeys, you often have a situation when trying to hang up spacious shelves. Because of its modularity you can accommodate individually SIGMARAIL® to the conditions of your home. So it fits perfectly under sloping ceilings and can be mounted below pitched roofs. 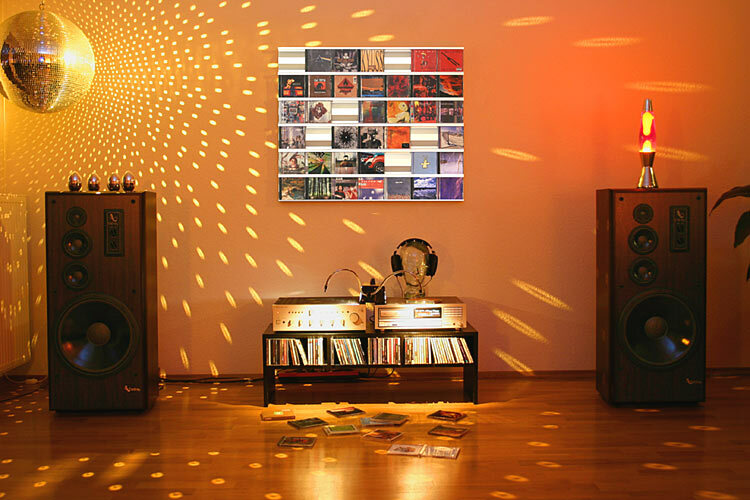 With SIGMARAIL®, you may create a new attraction in your home which will fill you and your friends with enthusiasm: Combine a kind of mosaic by the colourful covers of your most beautiful CDs, DVDs or Blu-rays and arrange your own individual work of art. On empty spaces, you’ll see an interesting light-and-shadow play. This stems from the special aluminium profile of SIGMARAIL® which is adapted from the Greek letter Sigma. With other racks you would see nothing but your wallpaper or a boring blankness at the same place.